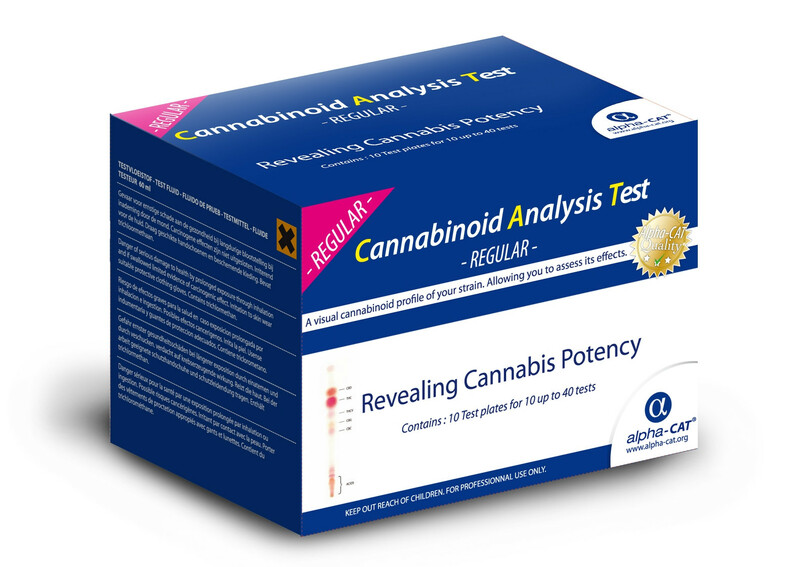 Enabling the detection and identification of 6 of the main cannabinoids present in cannabis, The alpha-CAT is the best and most unique cannabinoid analytical tool available today. 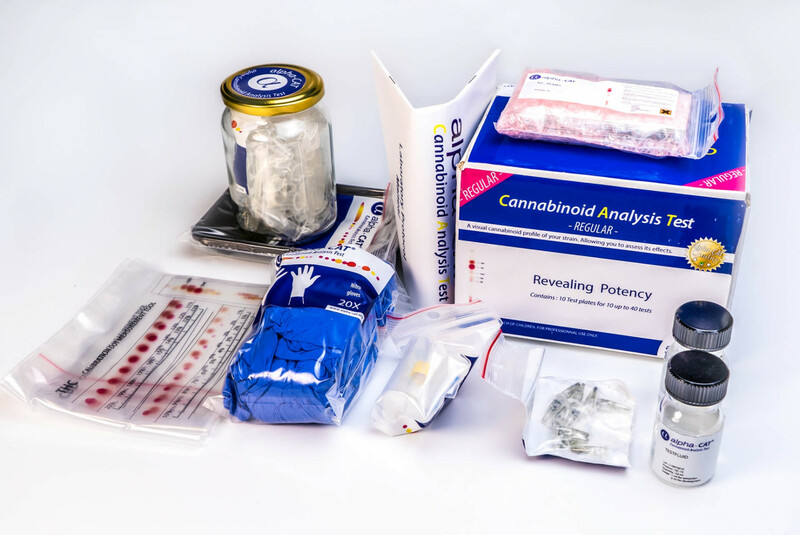 By combining the straightforward diagnostic technique of thin-layer chromatography with specific thin-layers and developing fluid, the main active ingredients of the cannabis plant parts can be visualised due to a highly specific colouring reaction. These colours represent the cannabinoids present in the sample of cannabis or cannabis product. The alpha-CAT gives the opportunity to gain knowledge about cannabinoids present in your material. It can express levels of each individual cannabinoid present in terms of concentration. Each Regular Kit allows the user to conduct between 10 and 40 tests. This simple method enables anyone to expose the active cannabinoid profile in medicinal materials, regardless of your scientific understanding.